Charlotte Holmes is not the typical woman and most definitely is not the woman upper-class society wants her to be. However, when one act forces her onto the mean streets of London, Charlotte must rely on her quick wit and newfound friends to solve a murder that labels her father and sister as the culprits. Under the name Sherlock Holmes, Charlotte uses her keen perception and sharp wit to find this unseen murderer. 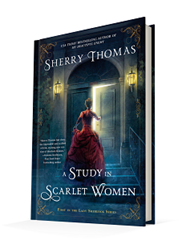 Published October 18, 2016, by Berkley Books A Study in Scarlet Women by Sherry Thomas is the first in a new twist on the tale of Sherlock Holmes. A Study in Scarlet Women is a fun read, and a good read is what it should be. This review is going to be the little different because it is not going to be analyzing only the story in the written word but also the audiobook format. Some novels do not work as well as audiobooks, and this is one of them, unfortunately. As a story it is very cohesive there’s no denying that it has a solid beginning, middle, and end. Moreover, it follows the formula for a Sherlock Holmes stories, developing the mystery as it tells the story while it also capitalizes on those classic tropes that define Holmes. Thomas knows how to channel Holmes and captivate readers by doing so. However, the way the story moves is quite different from standard Holmes stories. Because Charlotte is living in Victorian England standards, women back then were just supposed to be wives and mothers, maybe even a governess. 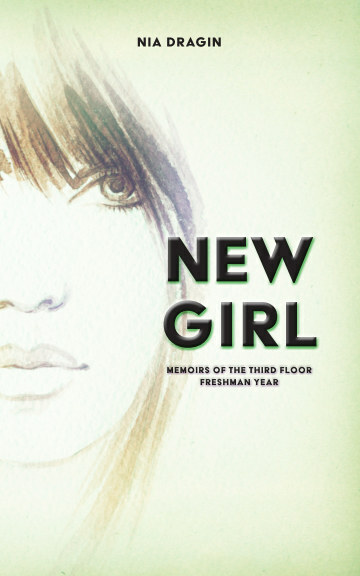 However, for Charlotte being who she is, it is predictable that she would find an escape route, a loophole that would strip her of her maidenhood and remove her from social standing, letting her be free to live her life the way she wants. However, with her options, limited Charlotte befriends a widow and former actress and starts her investigative service under the pretense that she is Sherlock Holmes sister. So unlike typical Holmes stories that have him visiting the scenes of the crime, Charlotte does not get to, only in rare instances. Instead, she is working off detailed information gathered from everyone else, her intellect and keen perception in order to solve the crimes. So it works enough to keep the story entertaining, to keep it fresh and nonrepetitive. It is an excellent novel; the only issue is the audiobook version of the story. The audiobook is not as clear as the novel when it comes to POV switches. It is a little confusing and unclear when the narrative switches, almost as if the story is jumping around. Often it is unclear who is talking and where the scene is taking place. The audiobook does not flow as well as the written word which makes it a little deterring.